Hey Human People. My name is Morriz. 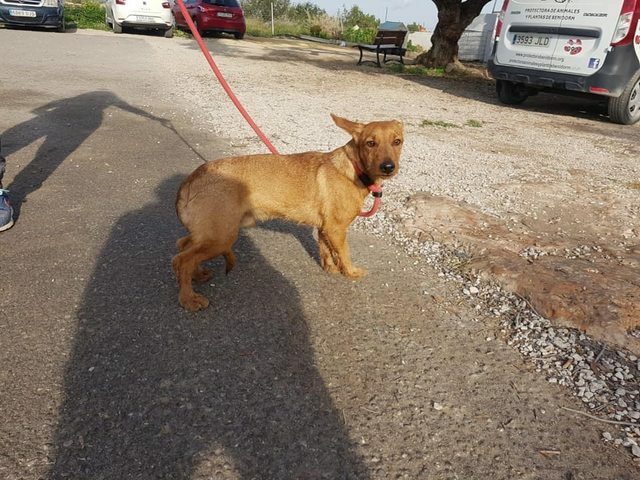 I’m a little Spanish Cross-Breed dog and I’m approximately 2 years old. 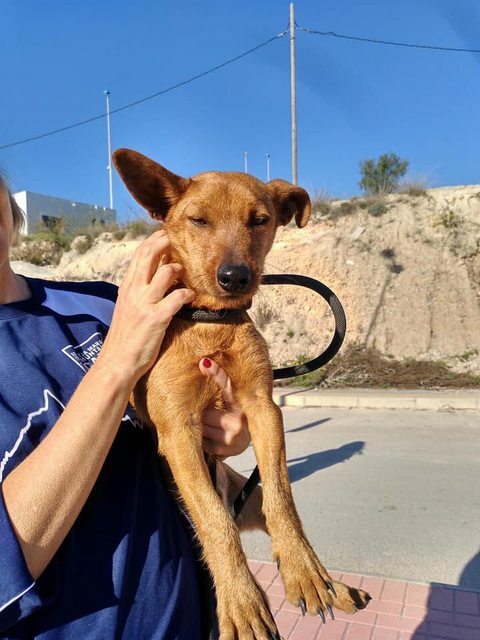 I was found abandoned an wandering and taken to live at shelter in Benidorm Spain. 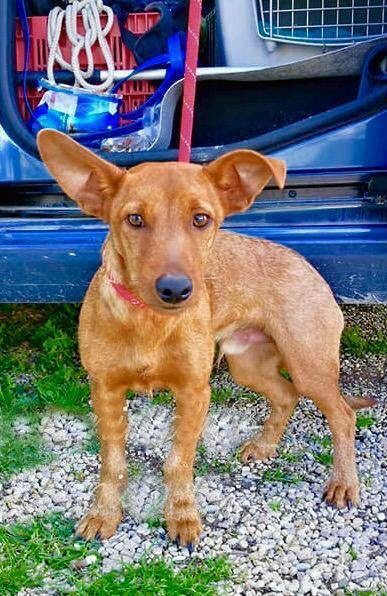 I’m a happy and affectionate little boy and I don’t weigh a lot so it’s easy to pick me up. I’m approximately 7-8kgs. I’m presently happily sharing with other dogs and described as having a good temperament. Iv been tested with cats and I ran away from them – one clawed my leg. I’m also able to be homed with responsible children over 8 who understand how to care for a dog. I have a rescue group now who are helping me to find my happy ever after. They would like for me to have a safe and enclosed garden to run around in. I really really want out of jail as Iv done nothing wrong and would like it to be my turn to find happiness. In return I’ll give you unstinting love, loyalty, trust affection and be the best boy that I can be for you. Please don’t make me wait. My rescue group require a completed application, Homecheck and a rehome fee to cover costs. In most cases I can be delivered to you. I will be neutered, vaccinated, chipped and with passport. I will also be flea and tick treated and wormed prior to transport. For further details about adopting a dog from Rutherglen Rescue in Glasgow, please contact Carolyn Blackshaw by emailing rutherglenrescue@outlook.com or telephone 07969 367622. 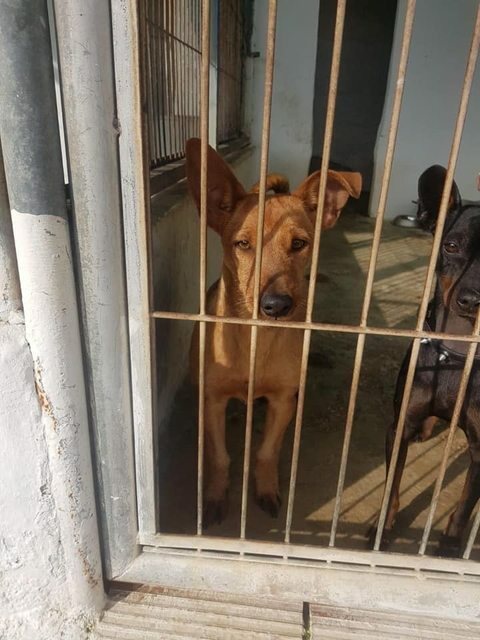 Please note, this rescue offers full post adoption support and all dogs are vaccinated, microchipped and spayed/neutered. Home checks apply.